A formula designed to stimulate the root chakras of the body-mind. 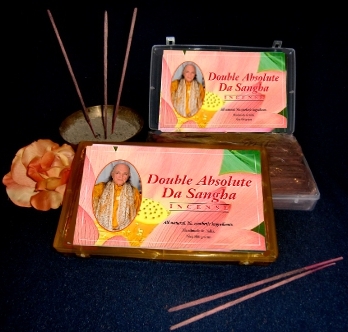 The Double Absolute blend is infused with twice the essential oils and burns with a very powerful aroma. 500 grams (approximately 500 sticks). 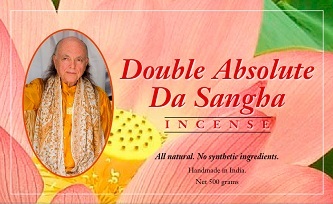 Specially formulated with over 20 different, high-quality elements and gifted to Adi Da Samraj from the Indian family that makes our Adi Da Rasa Incense. Inspired by an ancient Vedic formula, this rich masala bouquet makes a wonderful accompaniment to contemplative occasions of all kinds.